Our signature Loop tote is new for Cruise 2019 in a workmanship that translates the look of lace into leather. 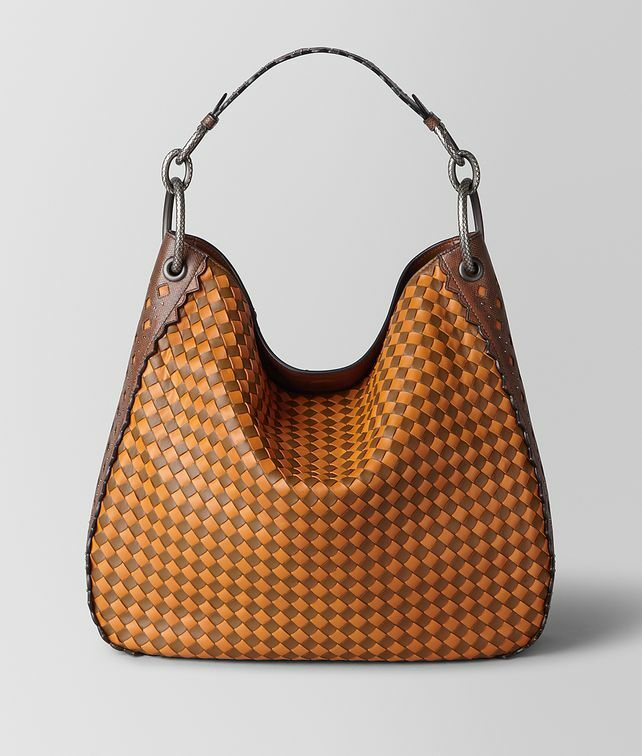 A border of precious karung leather cut with scalloped edges and accented with studs and brunito eyelets frames the bag’s silhouette, while the body is hand-woven in Intrecciato Chequer. The scalloped shoulder strap is detailed with tiny antique silver studs and diamond-shaped cut-outs. Finished with new hidden magnetic fasteners and iconic engraved metal loops.